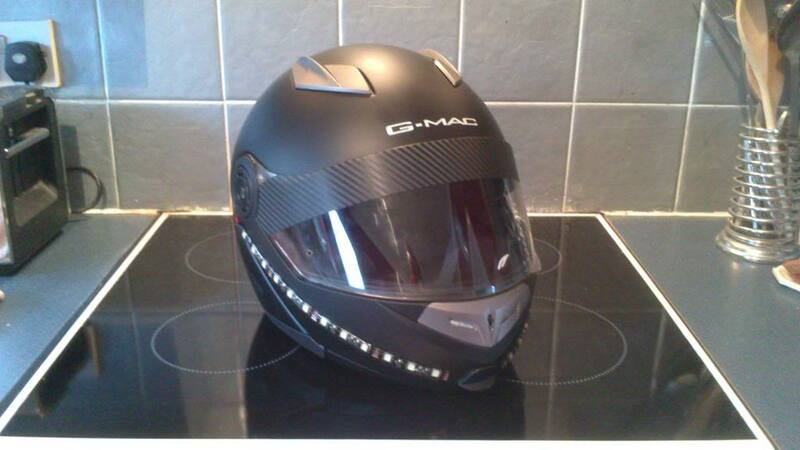 Here's a mod to my helmet. LED's......Love em! My guess? They're going to cause lots of glare. I would have to agree that I think it would be very off putting. I am interesting in knowing if it bothers you while your riding or not? I didn't notice thie thread when the OP first posted it. I would think that the light reflecting back off the bike while riding would greatly reduce someone's night vision. 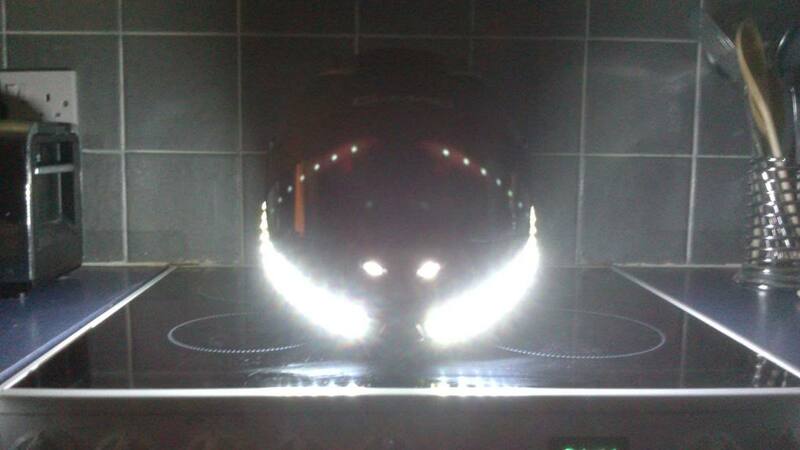 Sorry to say guys, I ride loads at night and there is Zero glare to your eyes. Because they are fitted to the "chin garde" facing out I forget its even on. Think of the position and angle that you are in when you ride, the lights face out not down at your bike, tho I have to say on a dim petrol forecourt its great to see how much fuel your putting in! 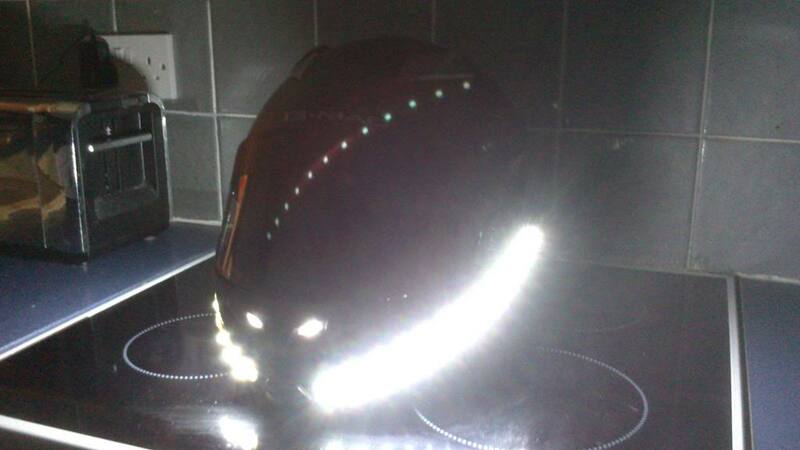 I have had so many people ask the same and when they try my helmet on they can't believe no glare. Last edited by Chapperssp; 02-04-2014 at 05:25 AM.